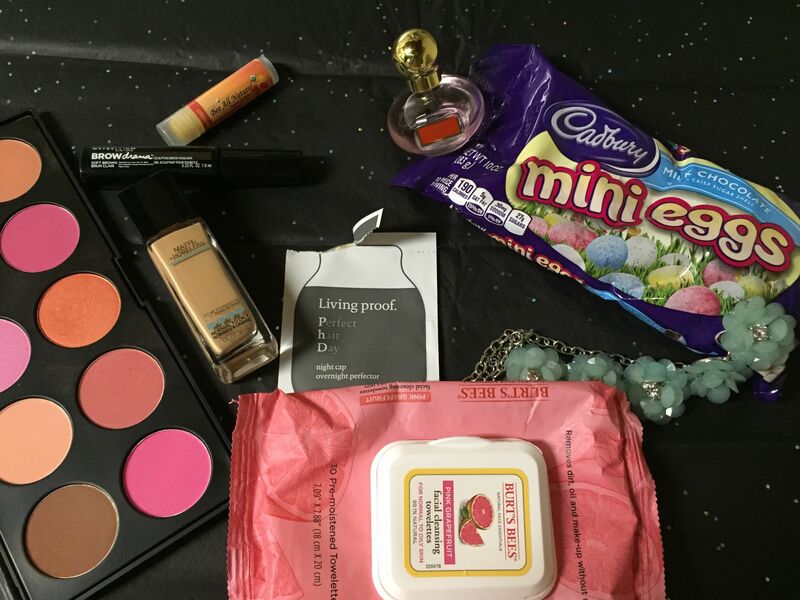 My Ipsy bag for this month hasn’t come yet (*sob*) so that mini haul will have to be next week! In the meantime I did two kind of exciting eye looks this weekend, one for Valentine’s Day and the other for a contest L’Oréal put on. I was really happy with my look for Valentines! I did a bright purple-y pink on both eyes and lips. 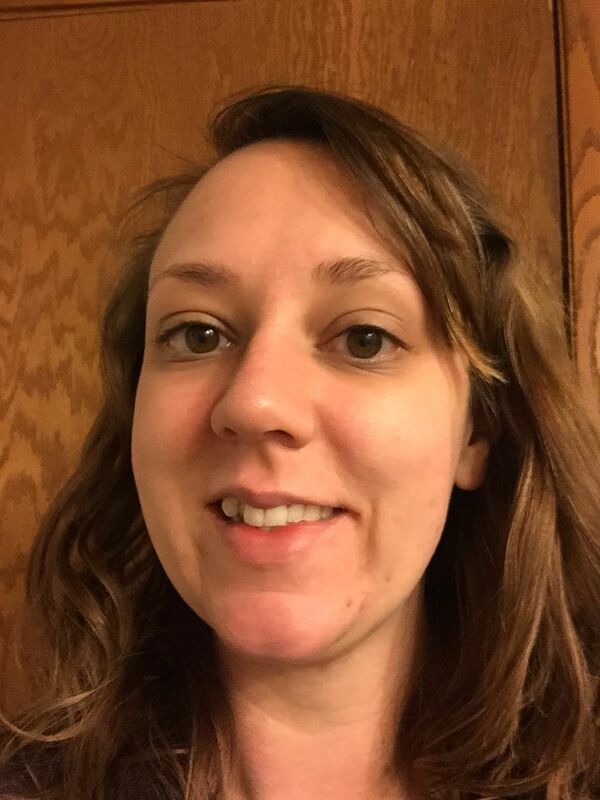 For face, I’ve been using Maybelline’s Fit Me! 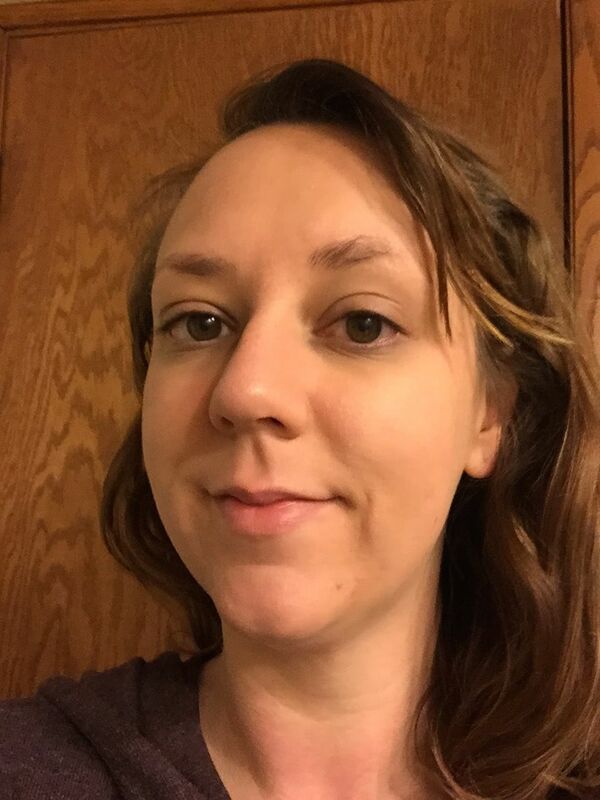 Matte + Poreless Foundation – my shade is 130 Buff Beige – and loving it. 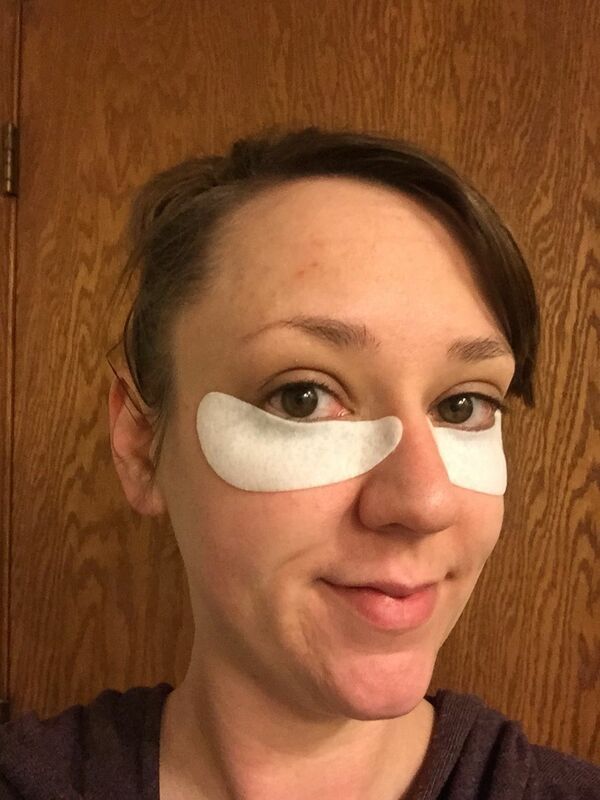 I feel like it covers and perfects my skin without making it look like a mask. Blush and bronzer are from my BH Cosmetics blush palette – I used the matte bronzer in the upper left hand corner and coral color on the top row, second from right. For the lips, I used Bite Beauty’s Luminous Crème Lipstick Duo in Violet and Palomino – which apparently isn’t available anymore on Sephora? That is a shame because those colors are beautiful. 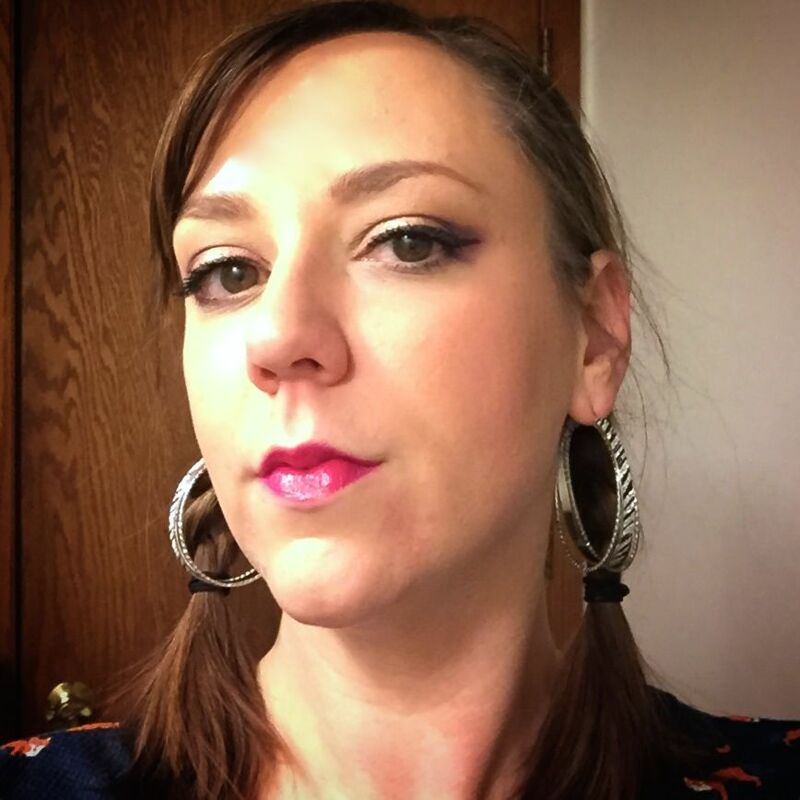 I lined my lips with the Violet, and filled in the outer corners. 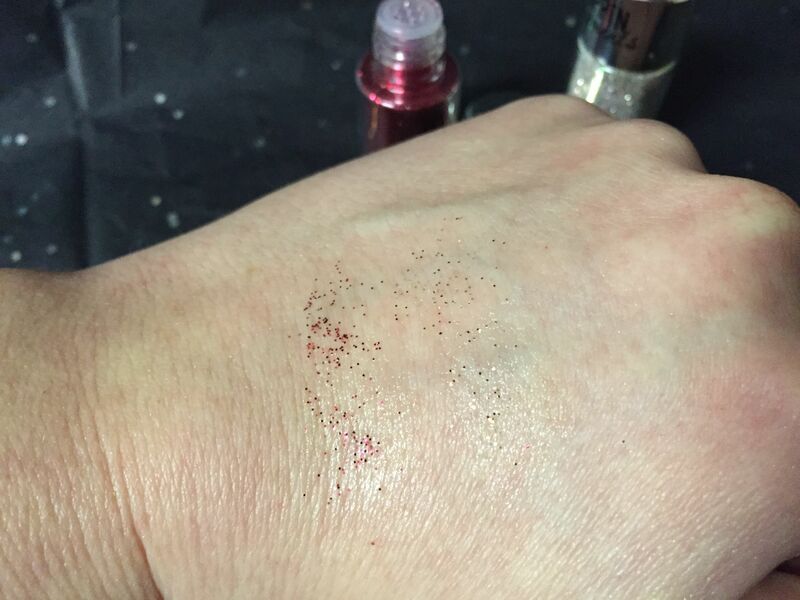 Then I applied Palomino – which is a bright fuchsia-ish pink – all over, and topped with NYX Butter Gloss in Cupcake. For the eyes, I applied a warm brown shade above my crease as a transition shade, then from my BH Cosmetics Eyes on the 70’s palette, I applied the black with this brush just in the crease and outer eyelid, creating a v shape. I then blended it out with the dark pink color in that palette, using the blending brush. 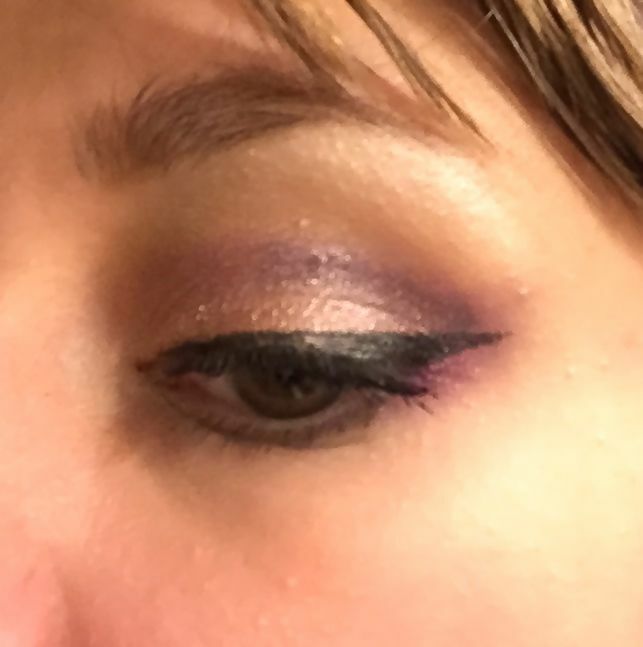 I liked this technique because the dark color didn’t get obliterated by over blending, so the definition was still there, plus it turned almost purple where it mixed with the pink. Then I applied L’Oréal’s Infallible Eyeshadow in Amber Rush all over the lid. This color is so, so good. It’s a metallic rose gold color, and I swear it goes with any other color you could possibly put on your eye and makes it look luxe and pretty. Then I lined the upper lash with NYC High Definition Liquid Eyeliner – I don’t like this as much as NYC’s other eyeliner; it has a felt tip and doesn’t seem to go on as rich and black, but it’s quick and easy to apply. Then L’Oréal’s Voluminous Extra-Volume Collagen Mascara on the lashes. I’m trying to find a mascara I love as much as Tarte‘s mascaras, but that I can find at the drugstore and doesn’t cost $20 a tube! I don’t think this one is it yet, but it’s not bad. I’ve never ever uploaded a vid onto YouTube before, and so forgot to change the title like an idiot, but there you go! Neutrals definitely have their place, but I love bright looks like this. Hope you enjoyed this, and I hope it inspires you to bring a little color into your routine! Have you ever walked by the displays of the cheaper drugstore makeup – Wet N Wild, NYC, e.l.f., etc. – and thought, “nope, those are going to be extremely poor quality”? I would ask you to double back and take a closer look. Is every single item a gem? No. But there are some products that are definitely worth your time and what little money they cost! Here are five great products that cost under $5. Wet N Wild Color Icon Palette – Comfort Zone: If you don’t follow any beauty blogs or YouTube channels, you may not know about this product. If you do, I’m probably beating a dead horse but, this is one of the best eyeshadow palettes out there and it only costs $4.99! 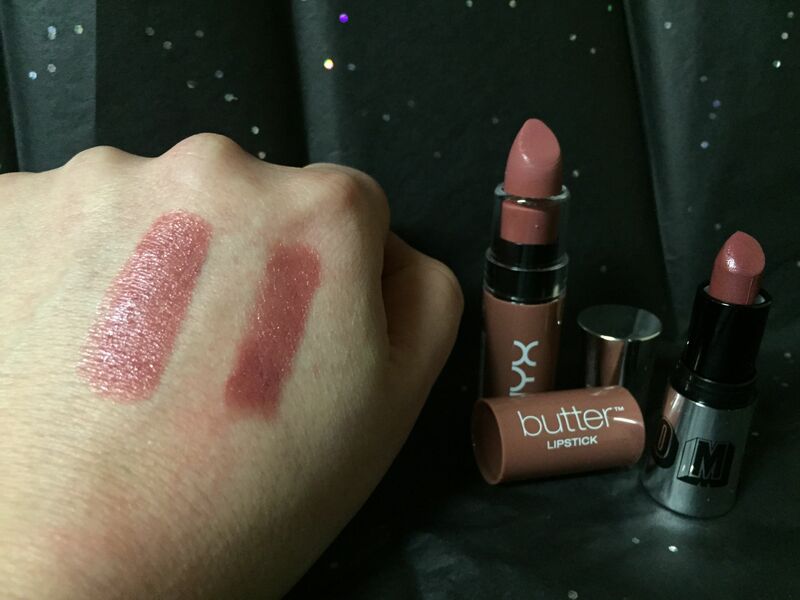 The formula is creamy and extremely pigmented, I don’t experience a ton of fallout, and they have great staying power. On the left side of the palette is a sort of neutral color scheme, with a buttery gold highlight, pink and brown mid shades, and a dark brown shade (they are the leftmost 2 swatches and the 3rd set of swatches from left to right – I swatched them a little out of order, sorry!). On the right side you get a green color scheme, with a taupe-y gold highlight, light green and forest green mid shades, and a great reddish-brown shade with a green pearl reflect – this shade is a great cheap dupe for MAC’s Club eyeshadow. This palette can help you make anywhere from a subtle eye to a dramatic smoky eye, and is a great value. 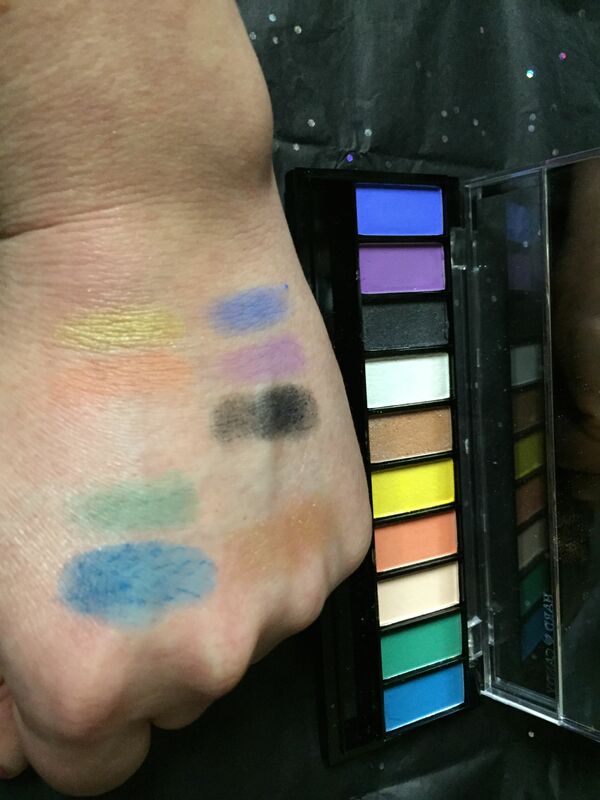 Wet N Wild Color Icon Palette – Silent Treatment: All of Wet N Wild’s Color Icon eyeshadows are amazing. Their only drawback is they don’t have an amazing range of colors – they sometimes come out with limited editions, but their permanent range only has a handful of options. This is one of their 3 color palettes, and one of the best in my opinion. You get a pink-y highlight, a taupe mid shade, and a dark brown crease shade. Again, you can either go subtle – and if you want a subtle look and you’re using that dark brown shade, be VERY light handed with it, it is shockingly pigmented – or dramatic. 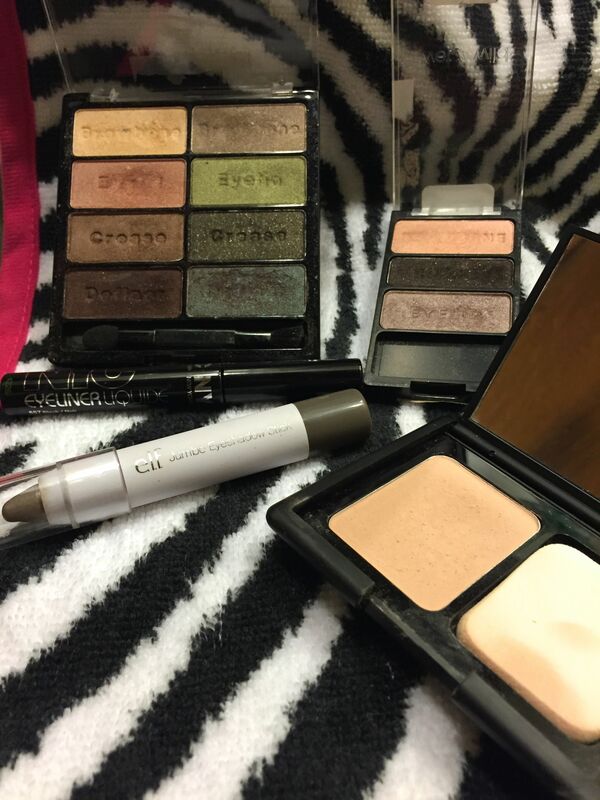 For $2.99 this is a very versatile little palette! e.l.f. Essential Jumbo Eyeshadow Stick – Rock Out: I also have this stick in Like a Boss (navy blue) and Midnight Rendezvous (black with silver sparkle). This one is a brownish-silvery-grey, and it makes the best subtle grey smokey eye! e.l.f. has some amazing diamonds in the rough – their most expensive items are only $6, so they are definitely worth a try! 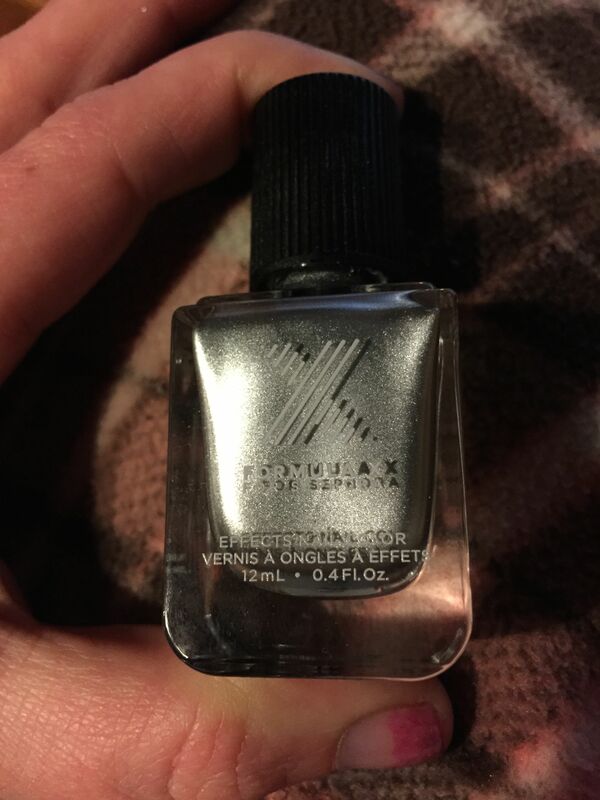 This item is only $2, it is creamy but not greasy, very pigmented, and stays put. You can either put this all over your lid as a base, use it on it’s own, or use an angled eyeliner brush to line your eyes. 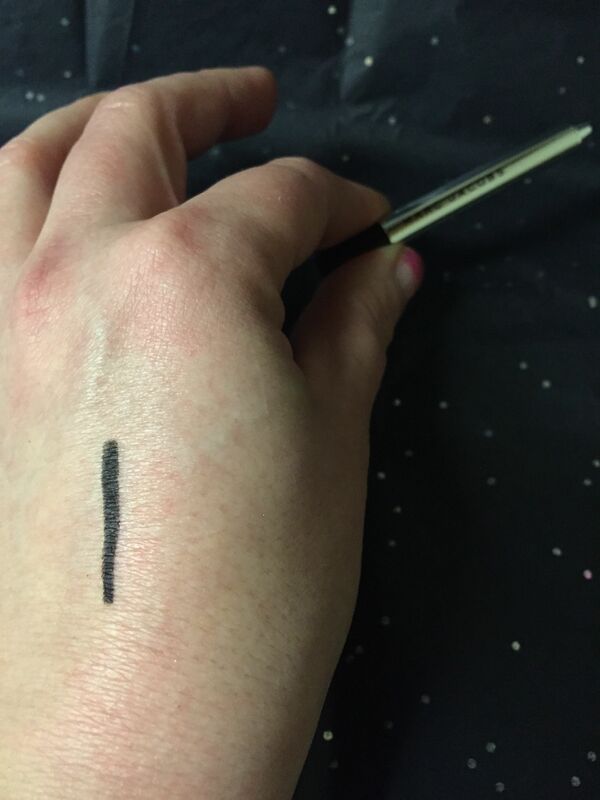 NYC Liquid Eyeliner: This is, hands down, one of the best liquid black eyeliners on the market, and it’s only $2.99. I’ve been using this a lot since my Jesse’s Girl bit the dust; the Coastal Scents version I got from Ipsy is okay, but the brush is a little harder to control. This has a nice fine tip brush, which allows for great control. The formula is rich and black and stays put without sliding around, although it doesn’t set SO quick that you can’t correct any mistakes. If you’re in the market for a new eyeliner, give this one a try! e.l.f. Studio Translucent Matifying Powder: This is just a great matte powder. I use it to set my concealer mostly, but on more humid days I use it to set my t-zone also. It creates a nice matte finish without adding a lot of heft or color onto your face, ruining what’s underneath. It’s only $3, so if you need a new powder in your life check this one out. It’s easy to turn your nose up at cheap makeup, but the fact is, there are some very good products at every price point, not just high end. 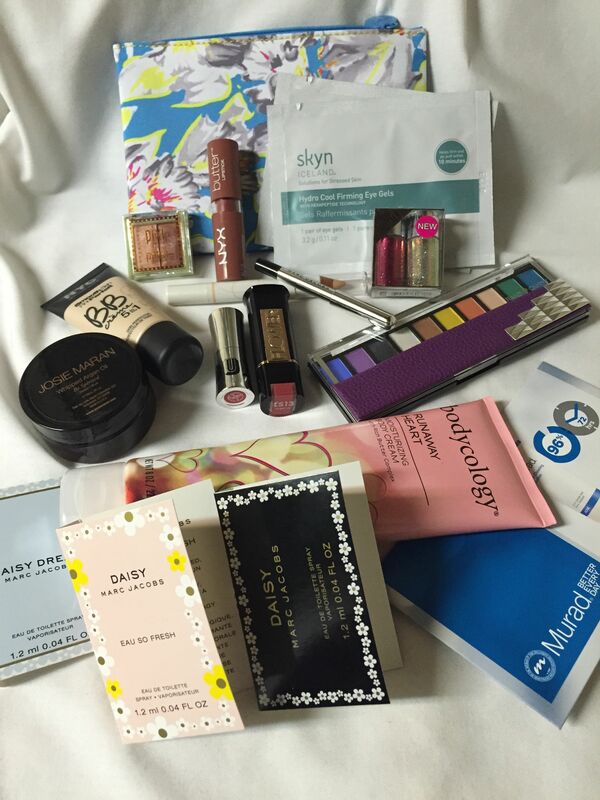 Take a chance and try some new products from your local drugstore! Be sure to check your store’s refund policies; some may not accept opened or used makeup. In the end, it’s all about experimenting and having fun – and if it looks good, who cares if it’s Wet N Wild or MAC? 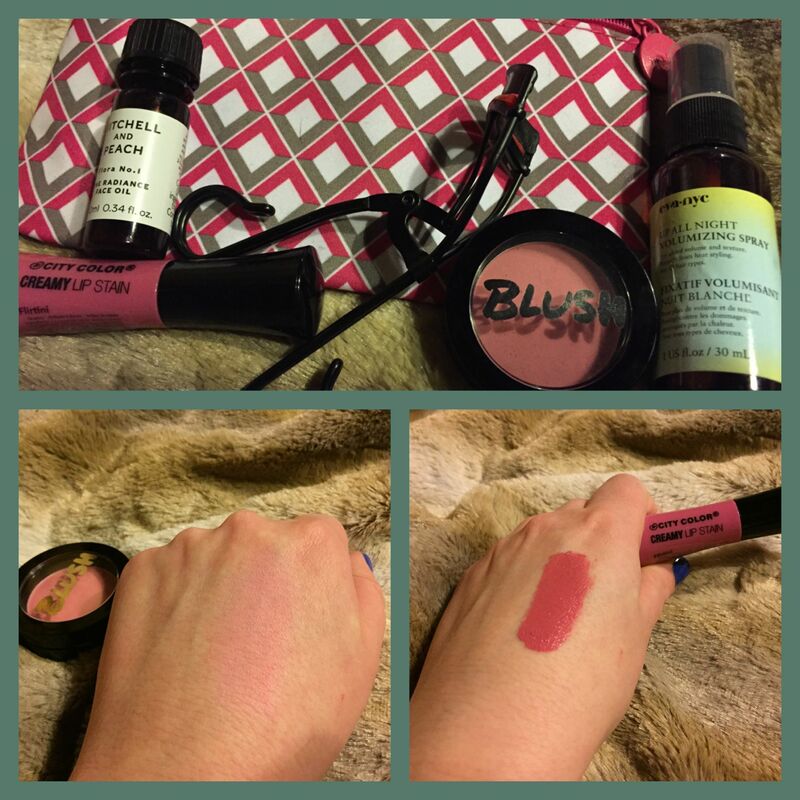 Makeup Monday – BH Cosmetics Haul! My parents gave me, among other things, a $50 Visa gift card for Christmas. I tucked it away in my purse, mulling over all the possibilities on what I could spend it on. Just so you know, I am NOT one of those people that sits on a gift card for weeks or months or – heavens – years. I do not even understand those people. I hear people say “Oh I’ve had that gift card for six months” and I stare at them like they have six heads and three of them are alien. It’s free money, people! Free Starbucks. Free Target. Free Sephora. Free whatever store or if it’s a Visa or what have you, free whatever you want, that you did not have in the seconds before someone handed you that card. What in the world are you waiting for? However, I am now in, *ahem*, my thirties, and I thought maybe I should be grown up about this just once in my life. And then I got my daily email from HauteLook that told me BH Cosmetics were being offered that day. Just like that, two days after Christmas, that gift card was spent. HauteLook is one of many sites that offer certain brands at a discount for a limited amount of time, and there are new deals every day. Ideel is another one, Gilt Groupe is another. This site is nice because it doesn’t just have clothes, but beauty, home and men’s items also. BH Cosmetics was one of those brands I’ve seen on YouTube and had my eye on, and their offerings on HauteLook looked too good to pass up! I have collected brushes from here and there, but the idea of having a proper set was very appealing. These are synthetic hair brushes, with sturdy ferrules and nice handles. I saw some reviews complaining that they were on the small size – I don’t feel like that’s a huge problem for me, but as I’ve said before I have child sized hands. Also, they come in a very cool little case that allows you to take them on trips without them getting bent out of shape, and doubles as a storage cup (or two) when you’re at home. XL Powder Brush. 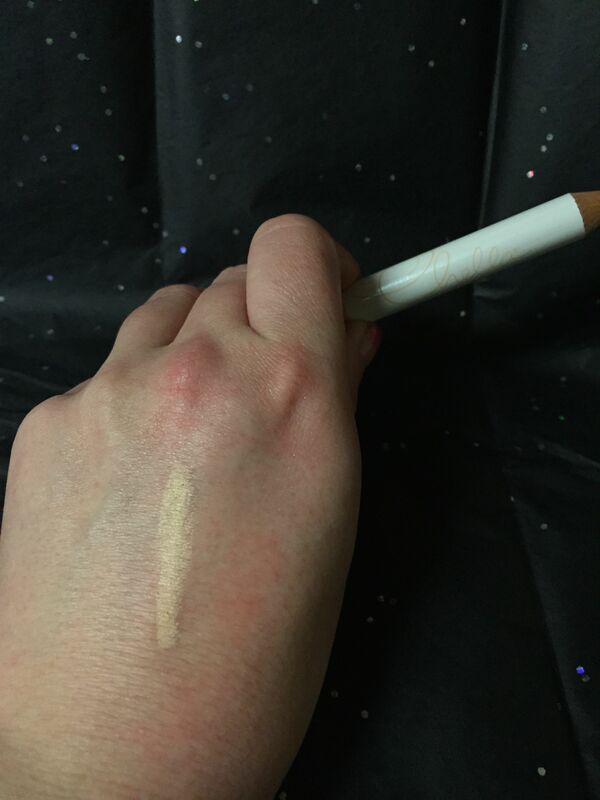 This is a very nice size for powder or foundation, and blends the product nicely into the skin. The synthetic hairs feel a little soft – on this and other brushes, I wish the hairs were a littler firmer and sturdier to really buff the product in, but it works nicely. Tapered Contour and Powder Brush. The bristles on this are cut in such a way that they almost come to a point. This allows you to apply contour shades just where you want them, and then you can use the whole surface of the brush to blend the product. I still like my angled blush brush for this, but it still works nicely! Blush Brush. Kind of a standard blush brush, nothing too special. I actually like the next brush better, for applying blush. Highlighting Brush. The bristles on this one are shorter and denser than the blush brush – I think it does a better job of applying blush, and I’ll keep my e.l.f. small stipple brush to apply highlighter. Tapered Blending Brush. This is actually a very nice blending brush. It’s nice and fluffy and blends eyeshadow like a dream. 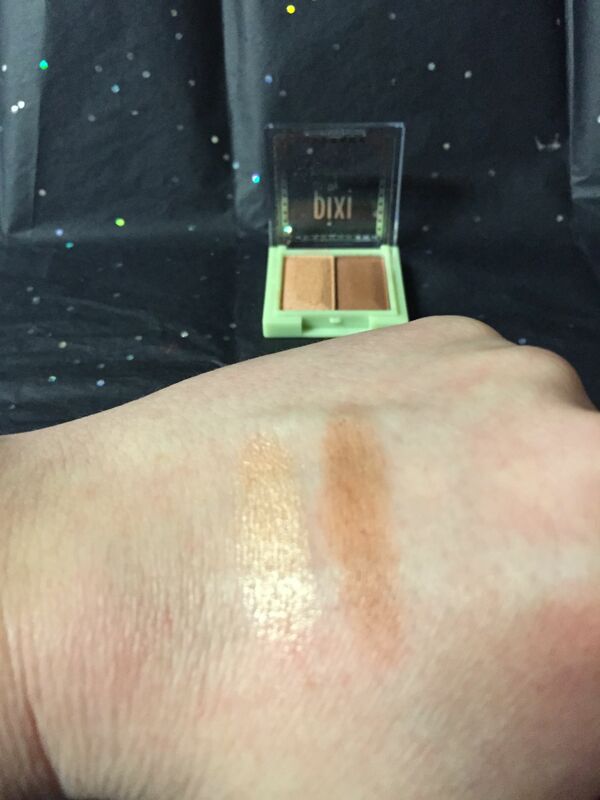 Use it to apply a transition shade above your crease, or to blend colors on your eyelids. Medium Shader Brush. The bristles are flat and dense, and the surface area is wider than similar brushes. It allows you to pack on eyeshadow color to a large area. Small Shader Brush. Same as above, just not as big. This allows you to put color in a concentrated area, such as the outer third of your eyelid, just before your crease. Bullet Smudger Brush. I would actually call this a small crease brush. It would work for smudging also, sure, but what this brush is AMAZING for is applying a concentrated amount of a darker color in your crease, to deepen the color there and the contrast with your lid. 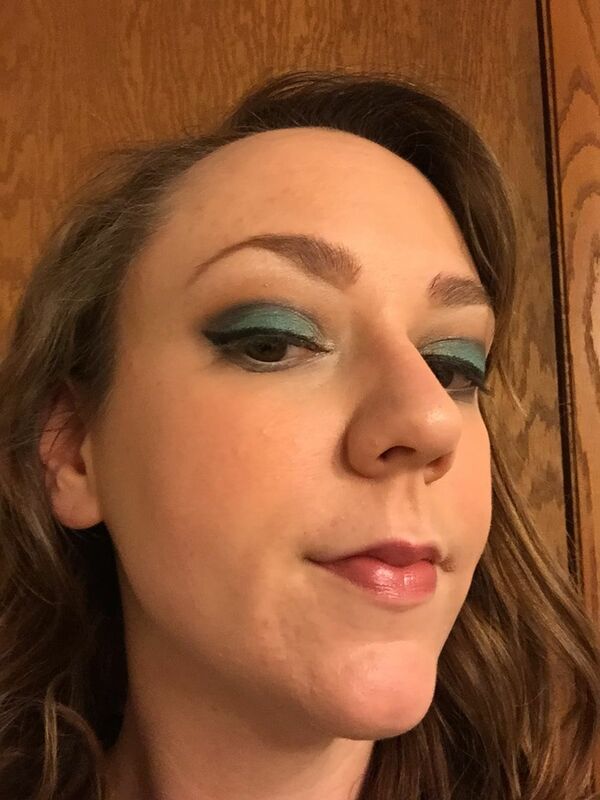 For instance, the other day I did a sort of blue-green smoky eye, placing a medium-dark blue shade in the crease with a crease brush, then I used this brush to apply a thin line of a dark navy blue over the top of the crease work I already did, then used the blending brush to smooth it out. The gradient of hues made it look professional and polished. I didn’t realize I needed this brush all my life until I used it! Tapered Liner Brush. Liner brush? I would never use this as a liner brush unless I wanted to look like a raccoon! It’s basically like a tiny crease brush – the ferrule is round instead of pinched, so the bristles are in that sort of bullet shape, and it’s I’d say half the size of the smudger brush. What I do like to use it for is to apply a highlighting eyeshadow shade to the innermost corner of the eye around the tear duct. Angled Brow and Liner Brush. Typical angled liner brush. 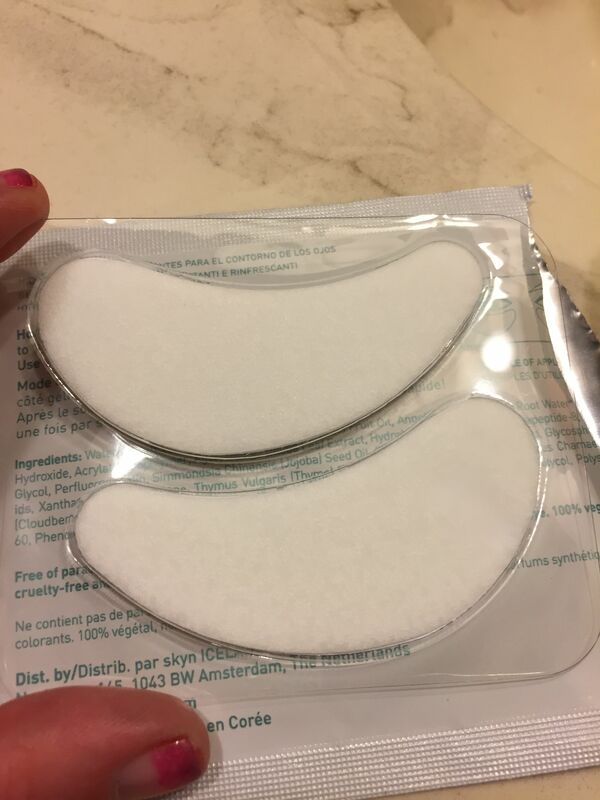 Great for applying cream liner or brow powder/wax. Lip Brush. I had been using a tiny travel concealer brush for this, so I’m excited to try a proper lip brush out. I haven’t used it yet, but it’s a nice size for the purpose. The reason I had used the concealer brush before is, I have rather large lips – doll lips, a classmate once called them – and typical lip brushes just seemed so tiny. I felt like it took forever to get the product on my lips! This one isn’t huge, but it doesn’t seem like a glorified eye liner brush either. Spoolie Brush. 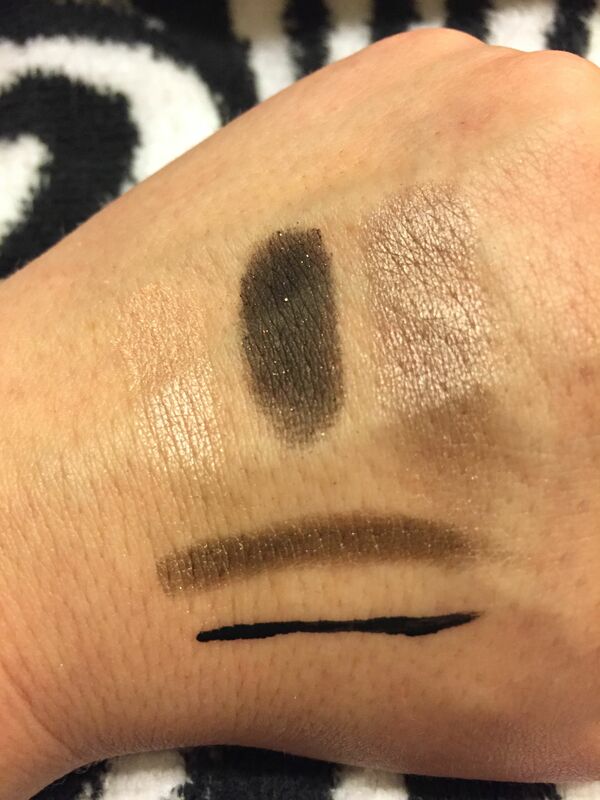 I don’t know that I’ll use this really, as I use this brow pencil from Milani, which has a spoolie on one end. But I have one if I need it! Overall, I like these brushes. My only complaint is, the synthetic bristles sometimes seem too soft and slippery, like the product just slips off or buffs away to nothing. 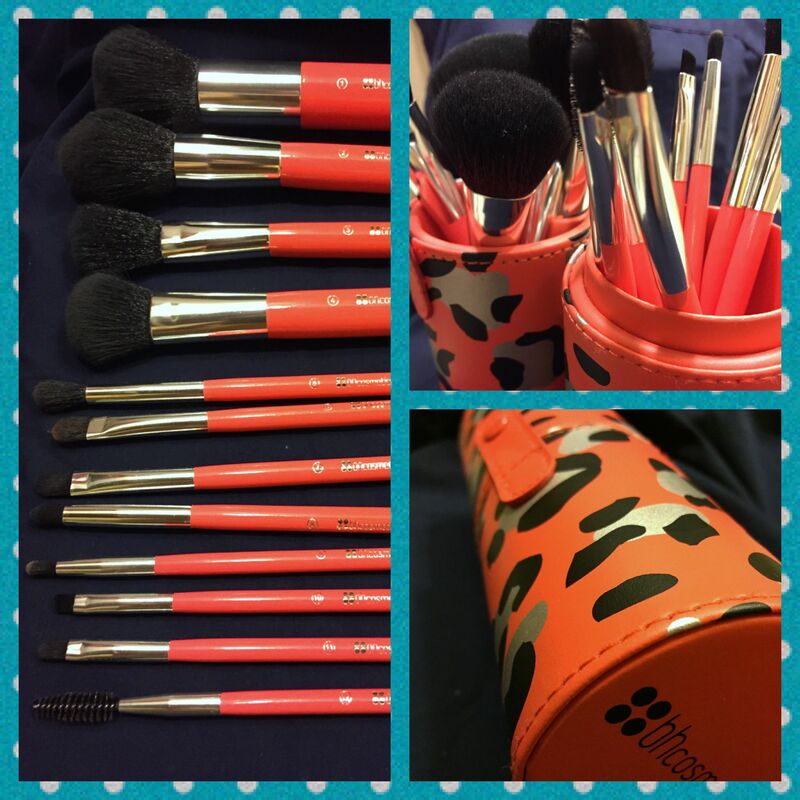 I won’t get rid of all of my old brushes – but these make a very nice addition to the ones I will keep, and I love the travel case it comes with! This is such a nice product. 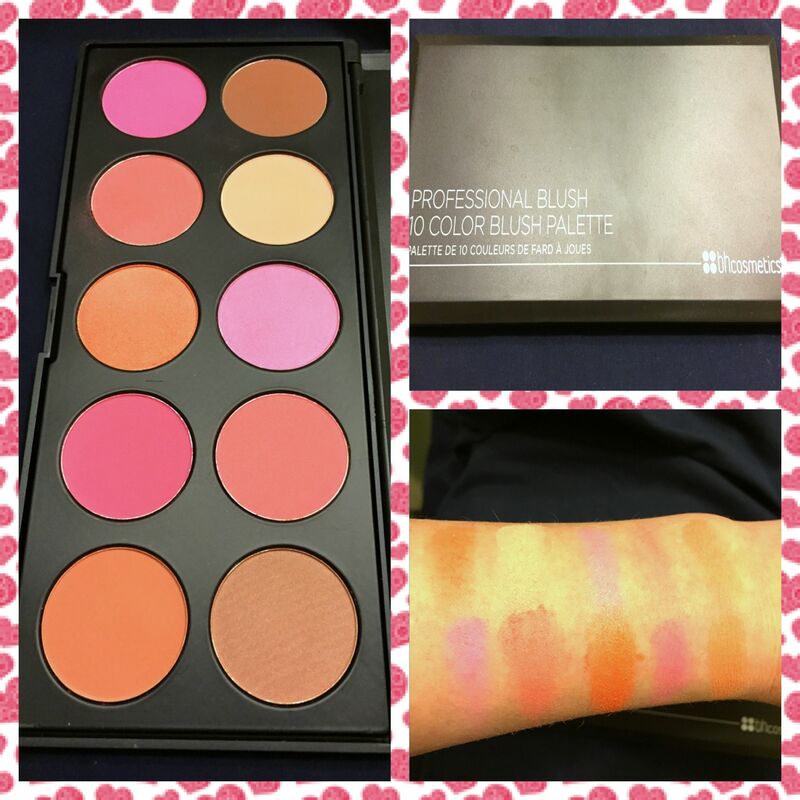 You get ten large blushes – each one is about 1 1/2″ in diameter – and a range of mattes, shimmers, warm and cool tones. On the left side of the picture, from top down, you get a matte hot pink, matte mauve, shimmery coral, matte dark pink, and a matte terra cotta. On the right side, you get a matte bronze, a matte cream, a shimmery mid tone pink, a matte bright coral, and a shimmery bronze. 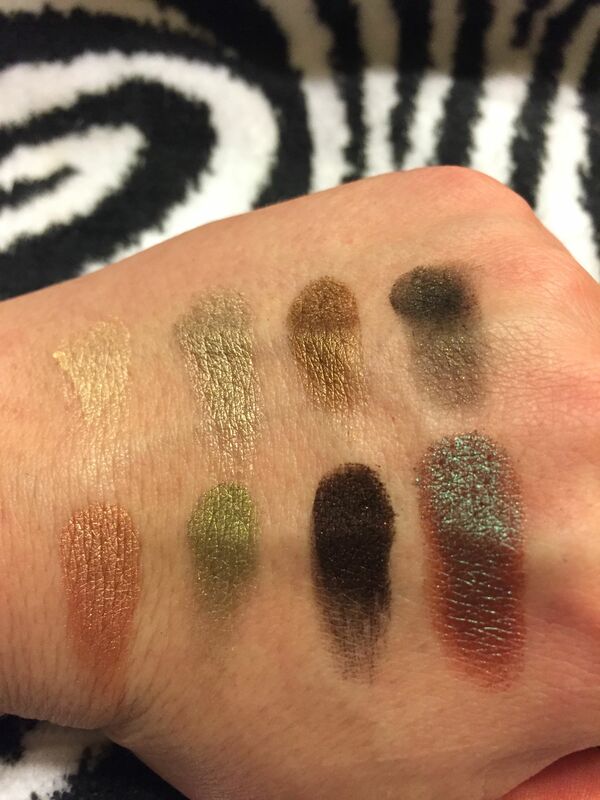 Each one is highly pigmented, and you can mix and match colors to really get a unique shade. I love that it’s not overloaded with shimmers – it’s so hard to find blushes that are matte, especially in the drugstore, and no one wants to walk around looking like a disco ball (unless they’re at a 70’s party, I suppose). The bronze shade at top right makes a nice subtle contour, the cream shade can highlight, and so far the hot pink and the matte bright coral are my favorite shades! I have a very neutral undertone to my skin – warm and cool tones both look good on me – so I’m looking forward to trying all of the shades in here! 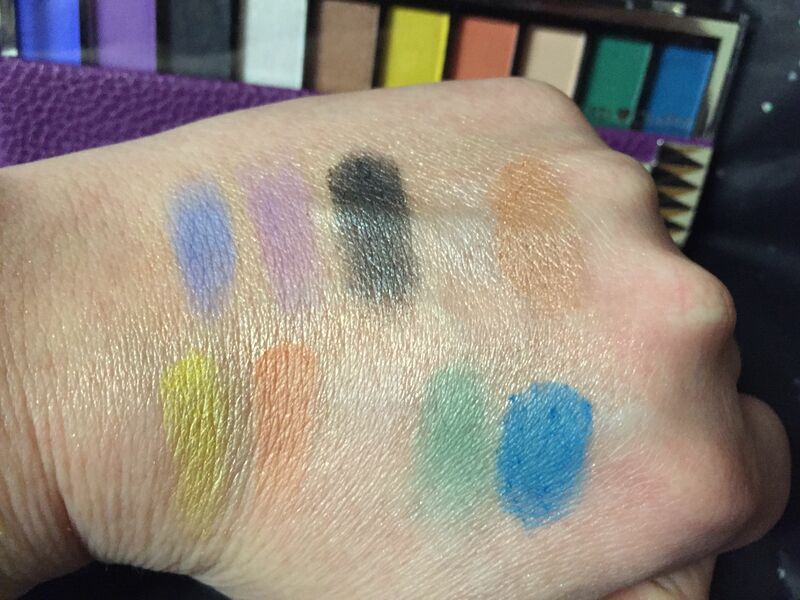 I didn’t bother swatching all of these – I figured 28 neutral colors wouldn’t translate all that well – but rest assured these shades are as beautiful on as they look here. Everything you need is here, from shimmery whites to matte creams and browns, to shimmery browns and plums and a matte black. This palette is about half and half – 15 shimmery shades and 13 mattes. They can either provide a neutral anchor to bright eye looks, or you can create a beautiful natural look just using this palette. I only really had one matte brown eyeshadow before this – it was a definite need product for me! So many colors! 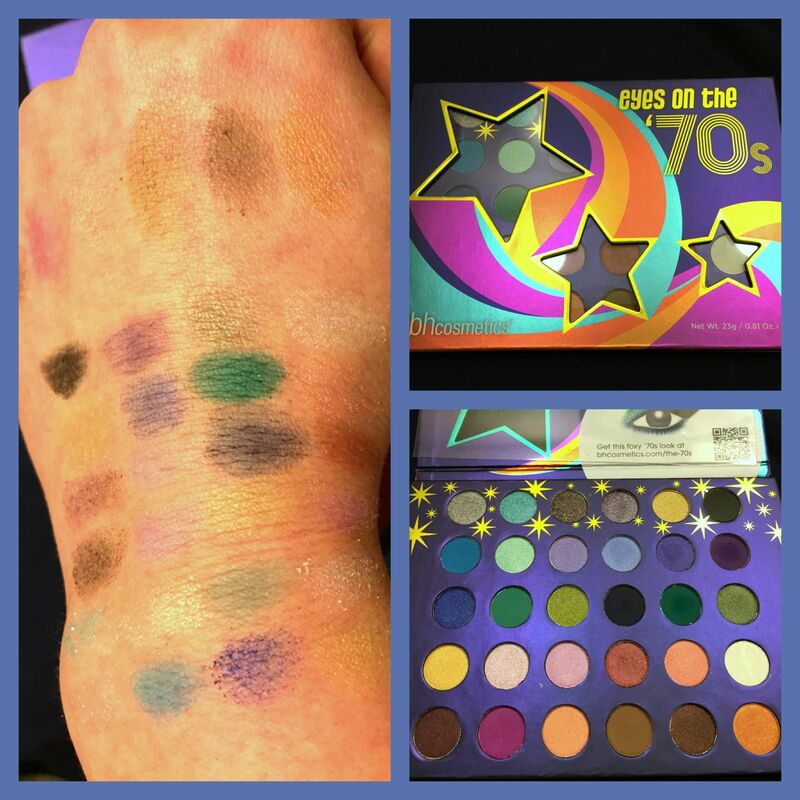 The swatch is not the best – maybe I’ll reshoot that later, so you can really tell how they come out – but I’m telling you, this palette is gorgeous! There are 30 shades in here. From left to right, top to bottom: silver with silver glitter, aqua with silver glitter, black with purple glitter, purple with silver glitter, gold with gold glitter, matte black, matte aqua, shimmery light green, shimmery lilac, shimmery periwinkle blue, shimmery dark purple, matte royal purple, shimmery dark blue, matte green, shimmery yellow green, matte navy, matte forest green, shimmery sage green, shimmery gold, shimmery frosty pink, a darker shimmery pink, shimmery burnt sienna, shimmery light coral, shimmery white, shimmery plum, matte magenta, shimmery peach, matte brown, shimmery brown, and finally shimmery copper. There’s a heavy emphasis on blues and greens and purples, with some warmer orangey shades at the bottom. Again there’s a nice mix of shimmer and matte shades, plus the high glitter shades for extra drama! I love playing around with so many colors. 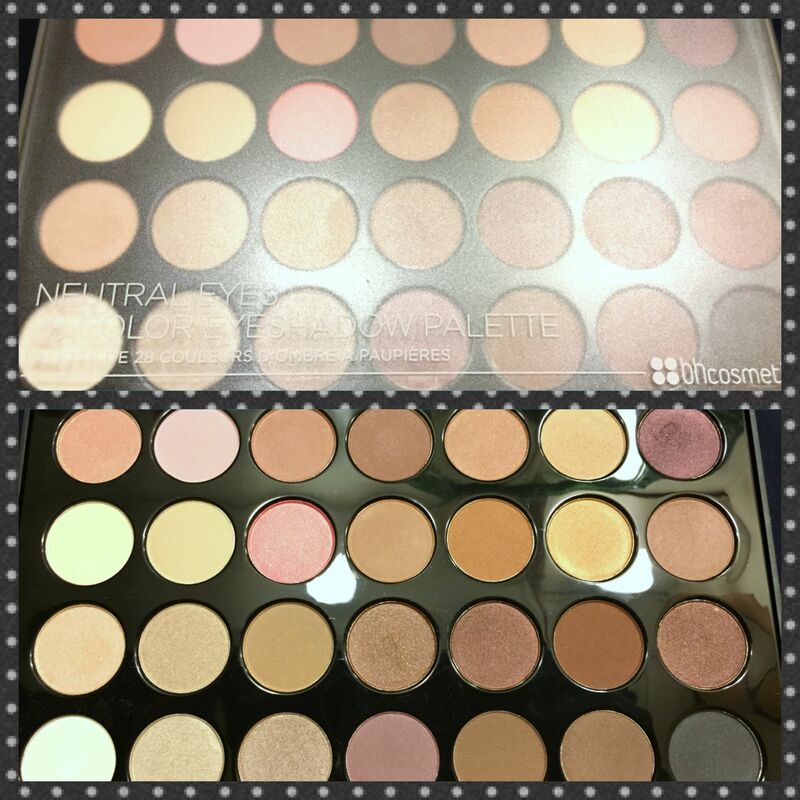 Also, if you had to, you could just use this palette to create a look, since it includes some matte neutral shades. Altogether I am super impressed with these sets. They’re well made, pigmented, and you get a lot of product. Take a look at their website – they have tons of palettes and other products I wasn’t able to get! Go forth and have a colorful week! I love a good red lip. So much that I can barely close that drawer in my makeup collection! It works with dramatic smoky eyes, it works with minimal eyes, it works when you don’t have time to do anything else with your face but you want to look like you haven’t just crawled out of your own grave. Matte: e.l.f. Matte Lip Color in Rich Red – This is a beautiful classic blue red. 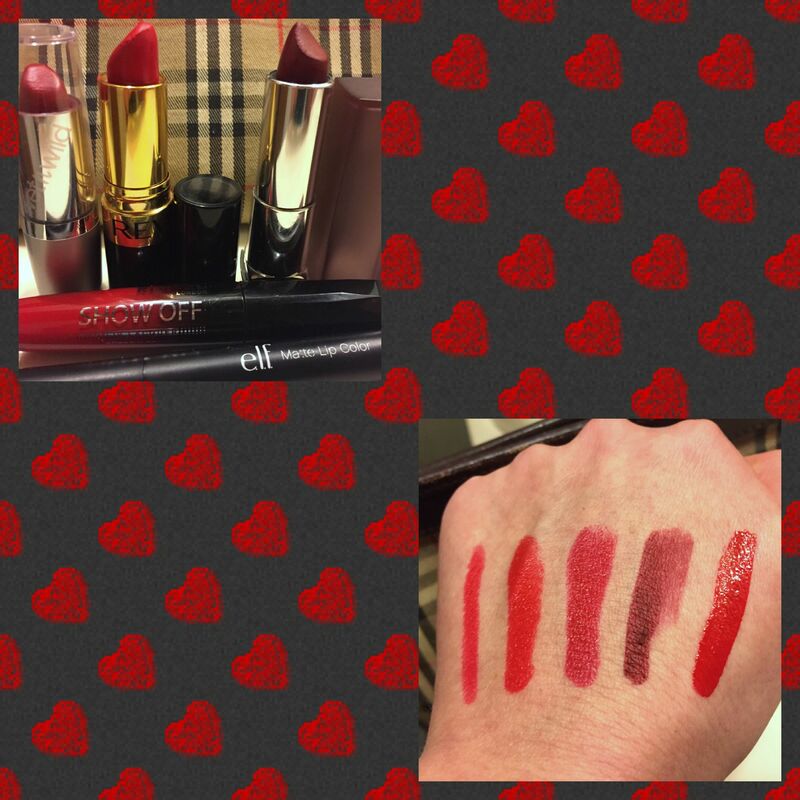 It’s highly pigmented, and super comfortable for a matte lip color. It’s not very long wearing – you definitely have to touch it up after eating, say – but it also doesn’t disappear right away. Orange red: Revlon Super Lustrous Lipstick in Love That Red – One of my first red lipsticks. In the world of classic reds, there are those that fall on the orange side of the spectrum, and those that fall on the blue side of the spectrum. This is more on the warm orange side. Technically speaking, these type of reds look best on those with warmer, darker skin tones, but the fact is even very fair skinned people can pull off an orange red – it will just pop more against the skin, so balance it out with a darker eye. 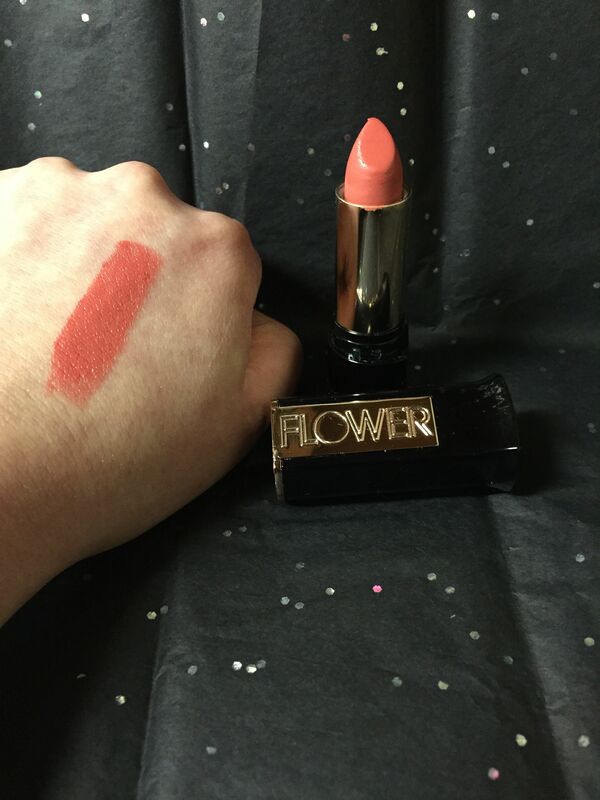 This lipstick has a rich creamy formula, gives off a little shine, and wears beautifully. Blue red: Wet n Wild Silk Finish Lipstick in Cinnamon – These lipsticks are an absolute steal at 99 cents. Yes you read that right! While there are definitely some hits and misses in this line – and similar cheap lines like NYC and e.l.f. – these lippies are a hit. This is a beautiful blue red, which looks great on fair skin tones (although again, it will look great on darker skin tones – it will just contrast more so pair it with a rich eye! ), and blue reds have the added benefit of making your teeth look whiter! 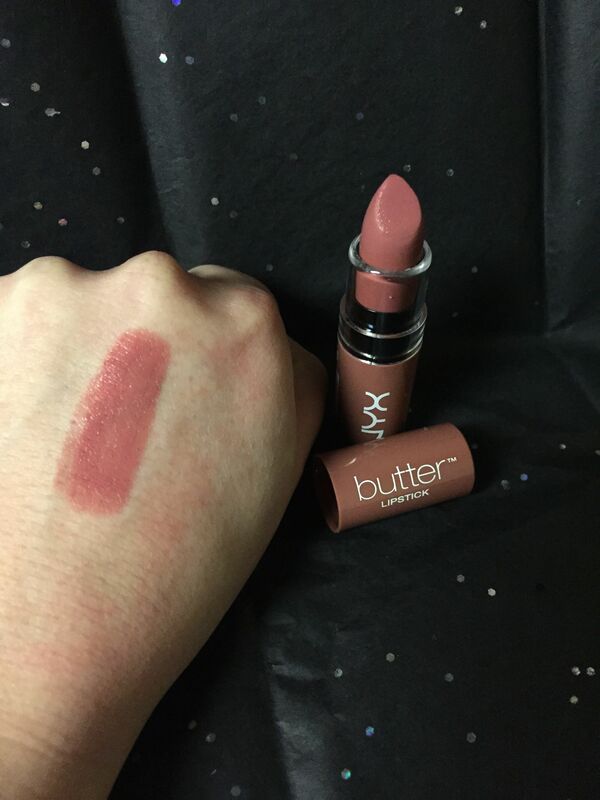 The formula is creamy, the finish is beautiful, and it’s comfortable on the lips. Dark red: Maybelline Color Sensational Matte Lipstick in Divine Wine – This is a great example of the oxblood trend that was big this last fall. 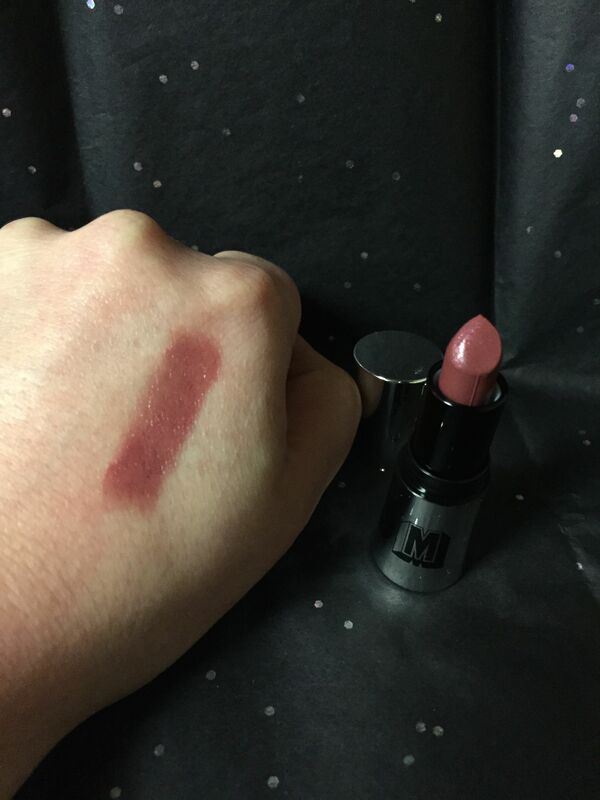 This is a dark, dark blood red, and the matte finish makes it look lush and luxurious. You can either apply it straight from the tube for a bold look, or with your finger or a lip brush for a more subtle look. This is fairly comfortable for a matte lip, but you may want to layer it over a lip balm for added comfort. Gloss: Rimmel Show Off Lip Lacquer in Big Bang – Also known as Apocalips in the UK, these lip glosses pack a HUGE color punch. One coat of this rich true red is all you need for incredibly shiny red lips! The applicator is unique also – it’s almost a bit like a ladle, with a divot in the doe foot that holds product, which can make application tricky. I find the best way is to wipe off any excess product on the applicator, leaving the product that’s in the divot, and using that to apply it to my lips. Then I use the part of the applicator I’ve wiped off to clean up the edges. 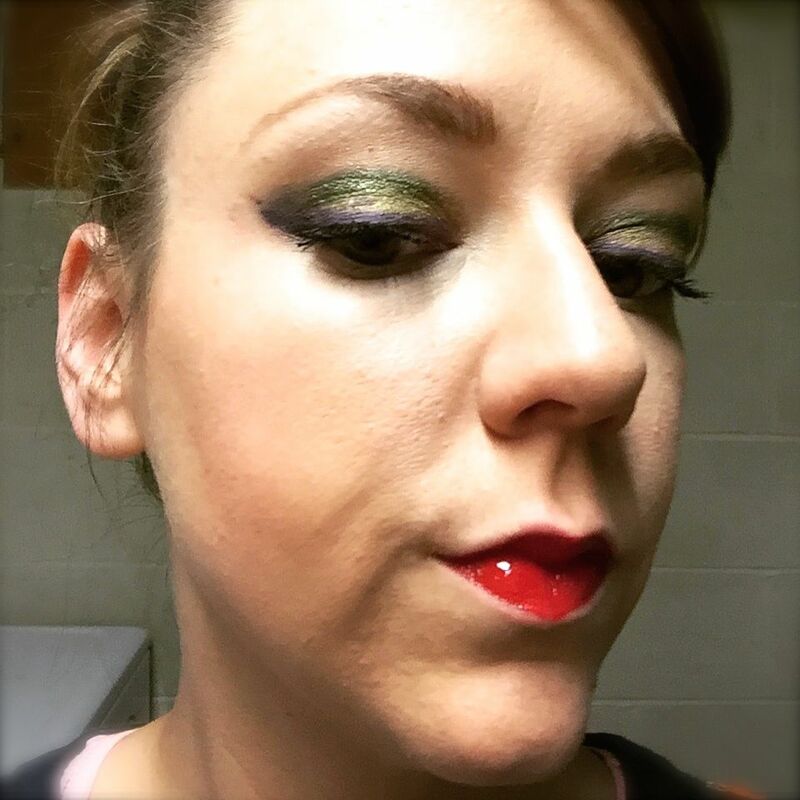 As far as wear – this will transfer onto absolutely everything, so be cautious of that, and it may also help to use a lip liner with this product, as it has a tendency to travel outside your lip line otherwise – I like this one from Jordana in Sedona Red. Also I’ve changed the theme on the blog – do you like it? Something just seemed off about the old theme, so I played around with different ideas and settled on this one. Let me know what you think!